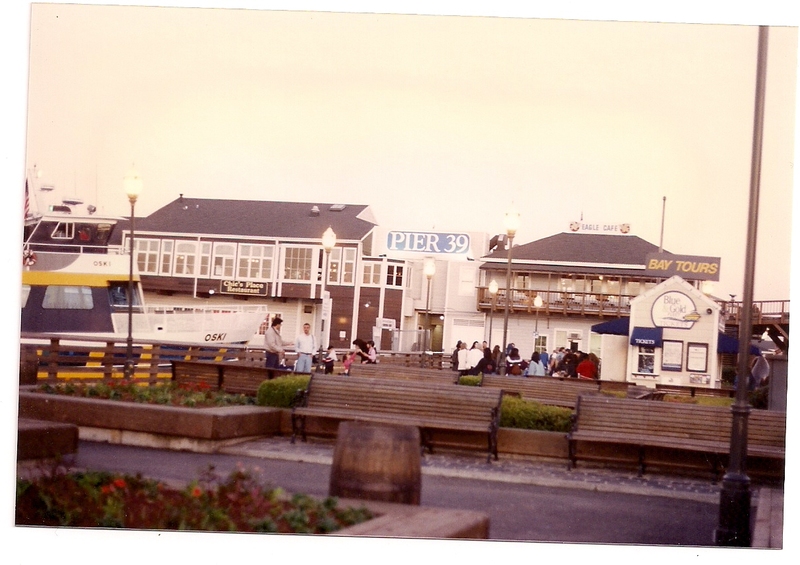 Pier 39 was a favored spot just to enjoy a day. 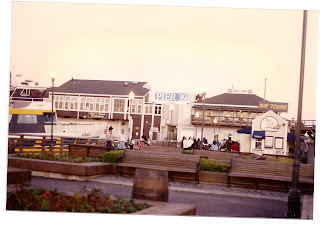 I spent a lot of time layed over in the San Francisco area in 1997 and 1998. I used to take the train from Fremont or Hayward into the city and ride the cable car trolley. 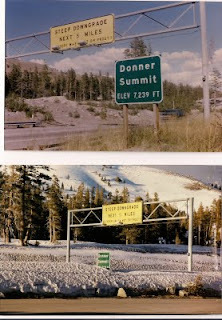 I didn't care much for the 'pull up' to Donner Summit on I-80 between Reno and Sacramento, but the spectacular vistas were worth the 'slow-slow pace' to get there, and well worth taking a break at either of the rest areas. 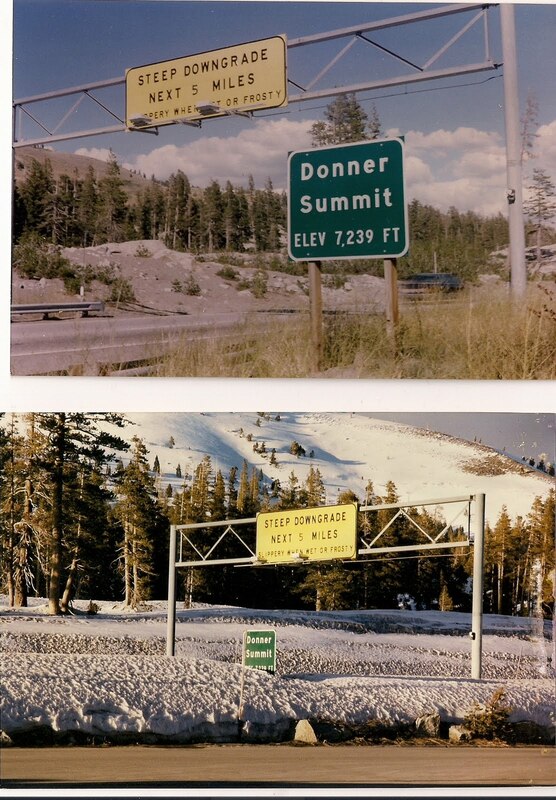 This pic is the contrast between summer and winter. 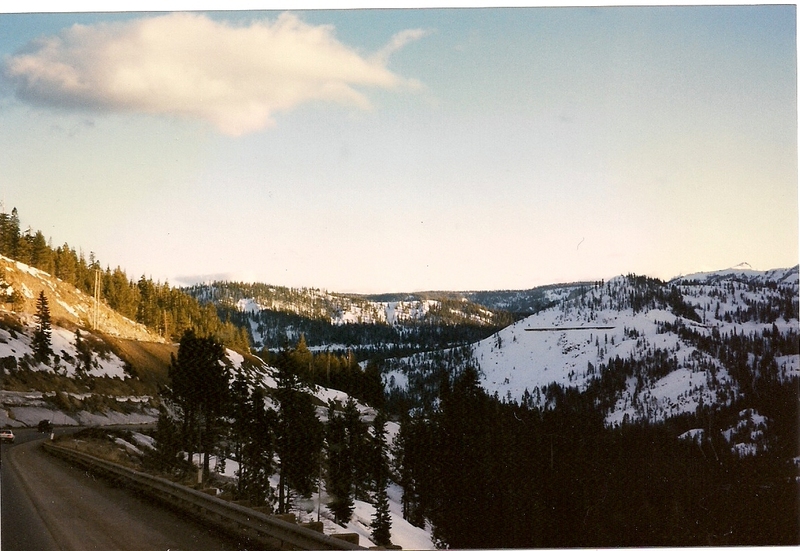 The sun was getting ready to set ... (somewhere down there, not seen, in the shadows is Donner Lake). Our truck was headed eastbound and we would take a break in Verdi, Nevada at the Boomtown Truck stop.